Home Read Are You There God? It’s Me, Deer. Are You There God? It’s Me, Deer. [dropcap]I[/dropcap]t was a weekly tradition. Every weekend, we’d make a point to go hunting. Maybe it was tranquility introduced in the early waking hours that shed any apprehensions or difficulties off our shoulders from the week. I was never one for poetry about my surroundings but something about the process was rejuvenating. All week, I just wander about like a shell without much of a purpose; malleable to everyone’s touch, molding to their needs. For once, I had all the power. During the hunting visits, my friends and I didn’t speak much. We all had an understanding. Refrain from getting in each other’s way. Talk if there’s an emergency, that way you know there’s help around without the annoyance of intrusion and frequent questions. You’re safe but have privacy. Which is why I can’t wrap my mind around why he broke one of our rules. 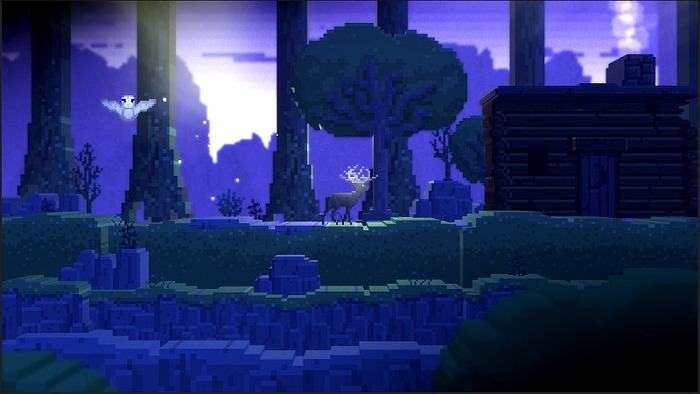 The deer ahead of me stood so majestically, its shape flawless, and sharpened large antlers. I’d never seen such a beautiful game in all my life and here is was, clear as day, out in the open, comfortably drinking from the lake. Their guard was down and I would rather die than miss this opportunity. I lifted the gun, aimed, and took a deep breath with my finger resting on the trigger. It’s all a bit of a blur to me but I remember shouting and gunshots. Someone made a horrible mistake. Hours later, I’d awoken somewhere else in the forest. The sun was sifting its way through the branches with morning light. My body felt heavy and out of place. I couldn’t place my finger on it, but things were weird. When attempting to stand up, my weight shifted oddly and I tumbled down a small hill, crashed into a few branches, and landed by the lake. That’s when I finally saw my true appearance. Hooves; attached to brown, slim legs. My reflection in the lake revealed a beautiful fawn, gazing down at the water curiously. I tilted my head to the side, as did the fawn. I attempted to furrow my eyebrows, causing my ears to flip backwards. I’ve become the game. Without a doubt, I’d become Bambi. One minute I’m a man holding a gun next I’m the very thing he was aiming for. In the weeks that passed, I spent my time getting the hang of this newfound life. Being just a fawn, it was difficult to get the swing of survival at first. Even as a human, I was pretty clueless without a gun or supermarket. Normally, fawns have adult deer around them to guide them along but I’m a bit of an enigma to the few I’ve seen. It’s as if they sense I’m not one of them. In time, I found a shelter in a nice cluster of trees and fallen branches. This lifestyle was different. Figuring out how to survive was rewarding in its own way. It wasn’t long before memories of my old life returned. All the stress during the week, the demands of the people around me – family, work, an unsatisfied girlfriend. Here in the woods, I don’t need to concern myself with money. Everything I will ever need is right here before me to chase after; I just need to work for it a little. I don’t know how it happened or why, but incarnating into a deer may have been the medicine my soul needed. 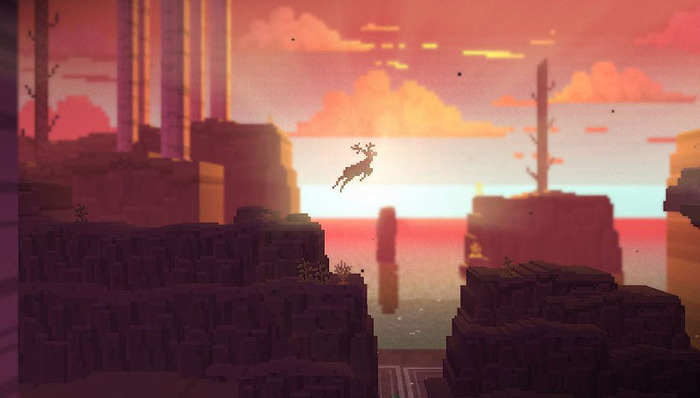 You can learn more about The Deer God by checking out our preview of the game. You can check out other editions of Julies’ “Another View” column right here.